SV- What made you start Pole Classes? Since I was 5 years old I have been really active, and always trying new forms of physical activity; dancing, pilates, hot yoga, gymnastics, sports, cross country running, and more recently snowboarding and aerials. Pole seemed like a fun new challenge that I could set myself. I feel stronger than ever! I've really noticed the changes in my muscle definition, especially in my arms. It's been nice getting compliments from my friends and family. I don't see myself stopping anytime soon. I've always been a very competitive person, but this time I'm challenging myself to keep improving. 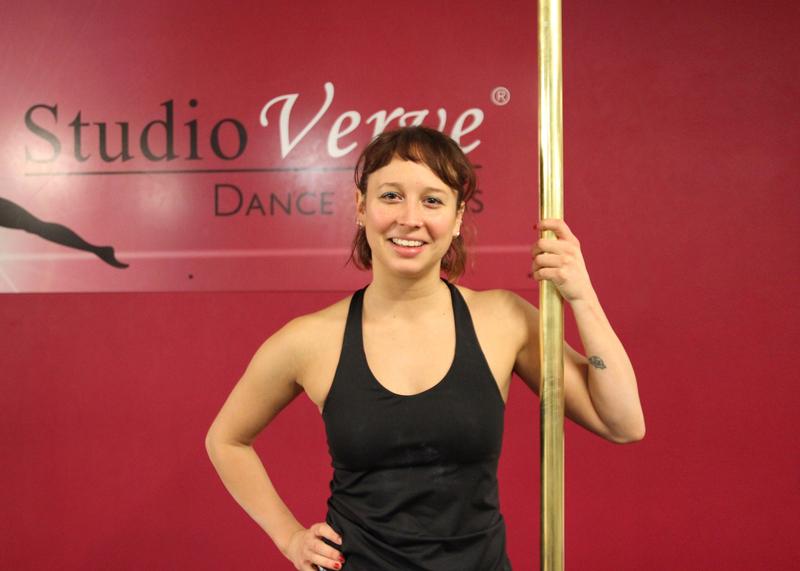 I've been going to Studio Verve since I started beginner pole classes last year and I'm currently nearing the end of Level 4. At first it was the convenience of living near the studio, but even after moving out of the city, I still go out of my way to attend this studio. I've made some really nice friends and we love supporting, encouraging and taking photos of each other to track our progress. I'm enrolling into level 5 pole next term and then I'm taking a break as I travel overseas for a few months. In fact I delayed my trip for a week just so I could finish the full term – that’s how much pole means to me! SV- What is your 2015 pole goal? Inverts! I'm so glad we finally started learning them this term and I can't get enough. My aim is to get good enough that I can try them with a partner.